Looking back over a long shooting career, there?s no doubt about the most memorable carrion crow I ever shot. It was an incubating female, bagged as she slipped off her nest high in a Scots pine on the RSPB?s North Warren reserve on the Suffolk coast. The year was either 1968 or 1969. The nesting carrions were regarded as a threat to the reserve?s breeding lapwings, and I had been asked by the reserve?s warden, Bert Axell, to try to shoot one of the pair. In those days North Warren didn?t have its own warden but came under the auspices of Minsmere reserve, where Bert was the man in charge. He had previously been warden at Dungeness in Kent, where he used to organise fox shoots to protect the stone curlew that nested there. Bert was a warden of the old school. It wouldn?t have occurred to him to consult his bosses at the Lodge, the RSPB?s headquarters, to see whether they approved of young Tomlinson shooting crows. I bagged the crow at my first attempt, with a single shot. David Mower, Bert?s assistant warden, had accompanied me, and as a budding taxidermist he took the bird for stuffing. He found just a single pellet in it, so my shot had been a lucky one. For several years afterwards that mounted crow was to be seen perched in Bert?s office. Many things have changed since I shot that crow. The RSPB no longer employs wardens, but has site managers instead, many of whom have university degrees but little or no experience of predator control. One thing that hasn?t changed is the pressure on the manager to ensure that there is an abundance of birds for the reserve?s visitors to watch. The last thing he wants is a fox eating his avocet chicks or a crow stealing all the lapwing?s eggs. Quite how he protects his birds is another matter, and predator control is invariably undertaken after consultation with the reserve?s manager. It?s no secret that the RSPB controls predators on its reserves, but it is reluctant to release any details. Don?t forget that most RSPB members have limited knowledge of the countryside, and there?s little doubt that the majority would be appalled at the very thought of cuddly foxes being shot ? though, ironically, few would complain about rats being poisoned. The Society?s income comes largely from its members, so it pays not to upset them. It is the equivalent of your great-aunt promising to leave you a million pounds if you give up drinking, to which you agree so as not to upset her. But whether you stop drinking entirely is another matter, and you do not let her know about the occasions when you sneak a tipple. 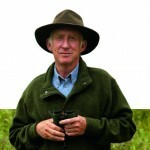 The RSPB?s former director of conservation, Mark Avery, discusses predator control in his book Fighting for Birds (an interesting read if you want to understand how the RSPB works): Conservation organisations are a bit coy about the amount of predator control they do, as it can never be enough for some critics and can never be too little for others. At the RSPB, we developed a policy that wouldn?t please everyone but was designed to be appropriate for a nature conservation organisation that is clearly on the side of nature, and not just cuddly nature. He goes on to say that ideally there would be no shooting or trapping on RSPB reserves, but control is introduced when predator numbers are putting species of conservation concern at risk. Most of the control is undertaken to protect ground-nesting waders, but capercaillie, terns and cranes are also species ?which may have benefited?. He goes on to say that over the years I became more and more convinced that the RSPB needed to do a bit more predator control, but not nearly as much as some of our external critics would have us do. When the RSPB does resort to predator control, members of staff rarely undertake it; professionals are brought in and the Society pays a proper fee for their services. For the past three years, a friend of mine has undertaken fox control on an RSPB reserve, using a rifle with night sights. He was brought in because the reserve?s nesting curlew were losing their chicks to foxes, and breeding success was virtually nil. As part of his contract he was sworn to secrecy, and he has told me very little about the job. Initially, he was asked by a manager not to shoot vixens that were clearly nursing cubs but now all foxes are to be shot. Last year my pal agreed that I could join him for a fox shoot as long as I promised not to write about it, to which I was happy to agree to. However, I opted out when I discovered that it involved an all-night vigil from dusk to dawn. Twenty-five years ago I accompanied the Game Conservancy?s fox expert, Jonathan Reynolds, on a night?s excursion following a radio-collared fox on Salisbury Plain. By 3am I was struggling to stay awake, and by 4am I was asleep. The same was sure to happen again, except that I would fall asleep rather earlier. Of course, one creature that you won?t find the RSPB controlling is birds of prey. Avery comments as follows: I know very few of the keenest proponents of legal predator control who aren?t also keen proponents of more control of birds of prey and other currently protected predators. There are thin ends of larger wedges at play here. It?s often difficult to prove scientifically the effectiveness of predator control, but Bert Axell left Dungeness for Minsmere in 1959, and his departure marked the end of the fox shoots on the shingle flats. Stone curlew soon started to decline, falling from a peak of eight pairs in the late 1950s to just one in 1965. They have never bred there again. Would they have survived if the fox control had continued? We will never know, but we have our suspicions.